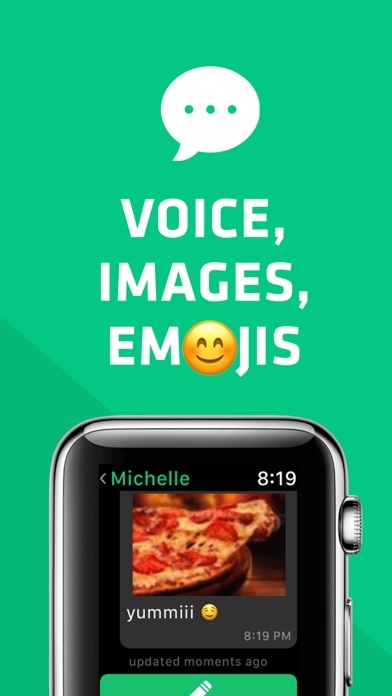 This brand new third-party app pairs your favorite messenger WhatsApp with your Apple Watch. 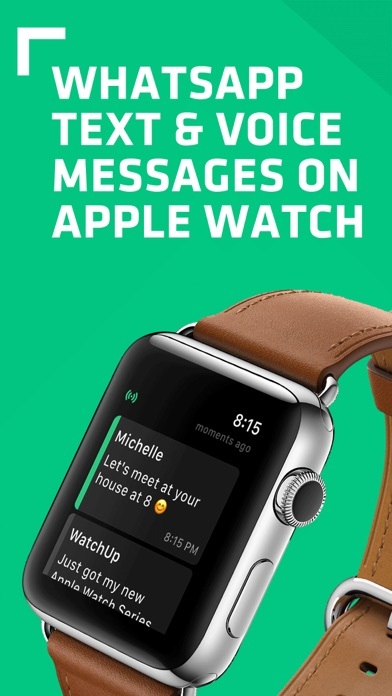 WatchUp allows you to read & send messages from your Apple Watch. With support for voice messages, images & emojis. Please read the full description before buying. Features include: - Read all your personal chats & group conversations - Listen to voice/audio messages - Send voice messages (Beta) - Use scribble or dictation to send a message - On-screen keyboard - Customizable "Quick Replies" - Start a chat from your contacts list - View images from chat (preview) or in full-screen (high-res) - Full Emoji support - Complications for app quick launch - Select app language - Adjustable font-size (force-press Home screen -> Settings) - Adjustable input language for Scribble & Dictation - Archive chats functionality Please note that this is a very new app and improvements will be made in future updates. A paired iPhone and WhatsApp for iOS - including an account - is required. For questions or support contact: [email protected] How to pair your account: 1. Open the app on Watch and follow on-screen instructions 2. 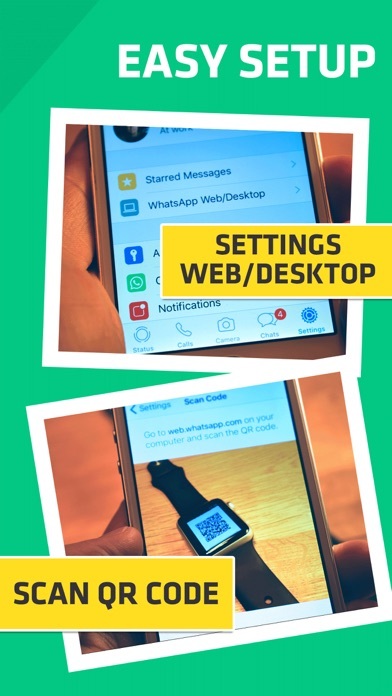 Goto WhatsApp settings & choose Web/Desktop 3. Scan the QR code appearing on your Apple Watch by holding the iPhone at some distance from your Watch. (Important: Scan right after QR code changes!) 4. After scanning wait up to 30 settings for the pairing to complete ------------- Disclaimer: This is a 3rd-party connector app for WhatsApp. It is neither supported nor endorsed by WhatsApp, Facebook Inc. or any of it's affiliates. 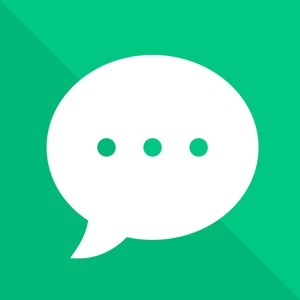 The app connects using your official WhatsApp Web account and complies with WhatsApp usage terms.